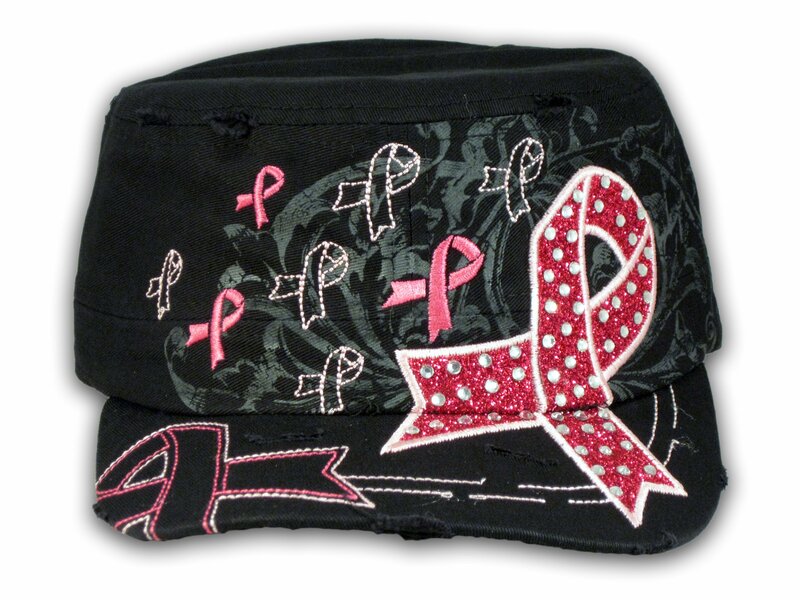 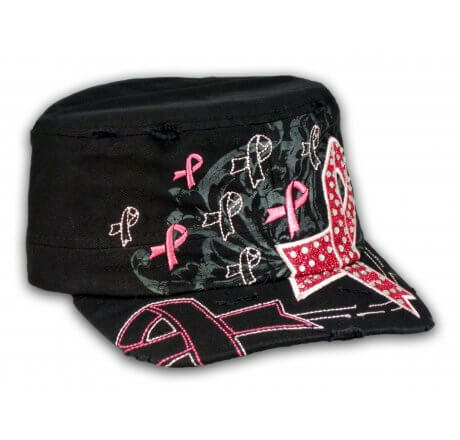 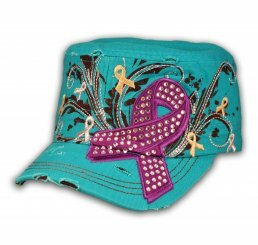 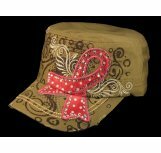 ★ This is a High Quality Black with Pink Cancer Ribbon Cadet Cap! 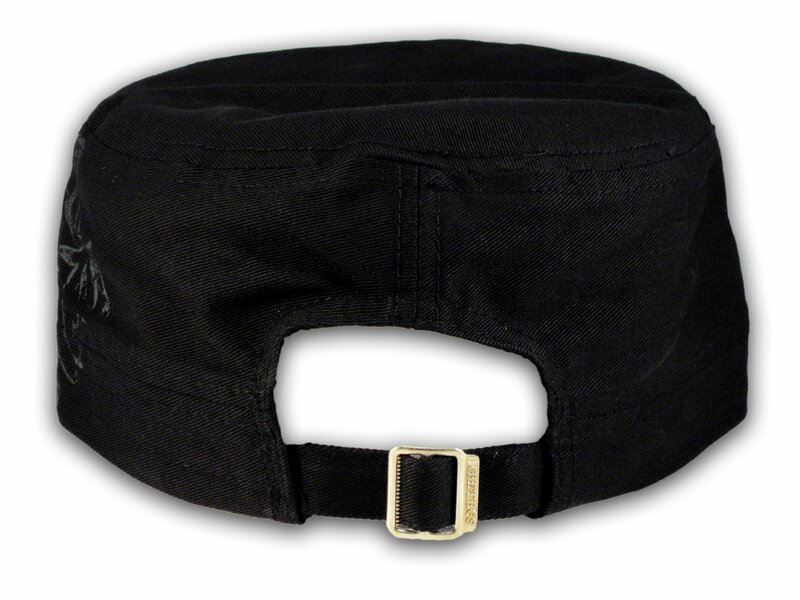 It's a Vintage Distressed, Military Army Style Castro Hat, from KB Ethos. 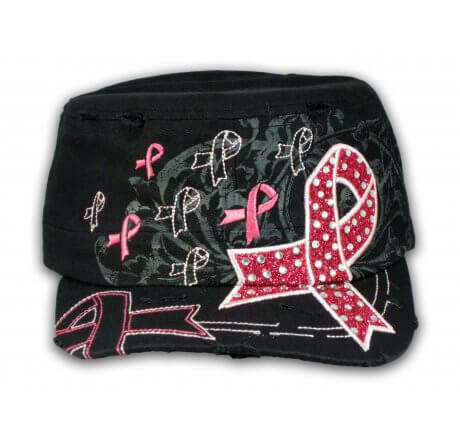 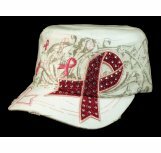 It's Embroidered with Pink Breast Cancer Ribbon with Gray Print and Black and Pink Stitching! 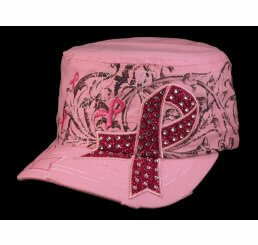 ★ 100% Brand New with Tags! 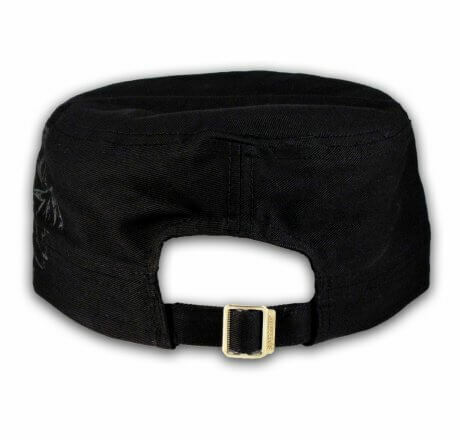 Never Tried On! 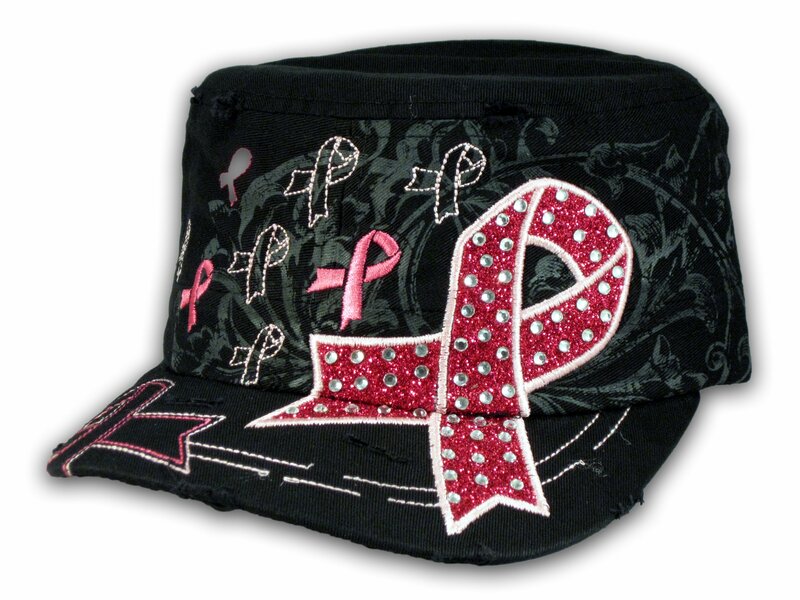 ★ This is a High Quality Black with Pink Cancer Ribbon Cadet Cap! It's a Vintage Distressed, Military Army Style Castro Hat, from KB Ethos. 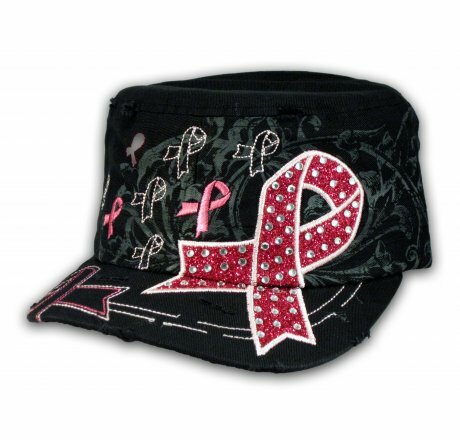 It's Embroidered with Pink Breast Cancer Ribbon with Gray Print and Black and Pink Stitching! 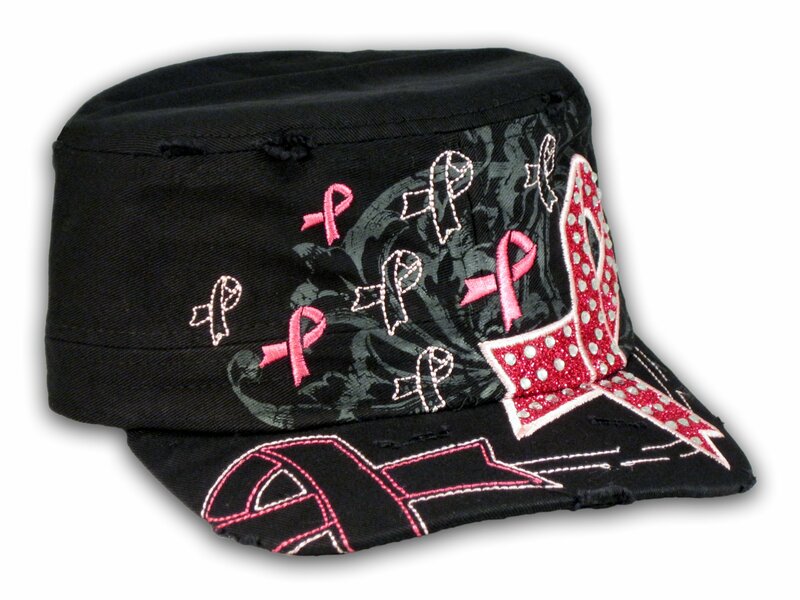 ★ Color: Black with Pink Cancer Ribbon ★ Adjustable/Fitted: One Size Fits Most, Adjustable Strap with Buckle!